Oyster Creek is a premier gated community located 4 miles from Englewood Beach and Manasota Key.Enjoy all the wonderful amenities of this community such as: Tennis, Golf, Bocci, Exercise Facility, Clubhouse, community hot tub and pool.You will enjoy the tranquil lake and preserve views from your private pool and oversized lanai area.This wide open Great Room floor plan is perfect for entertaining, with glass sliders opening onto the large covered deck area. 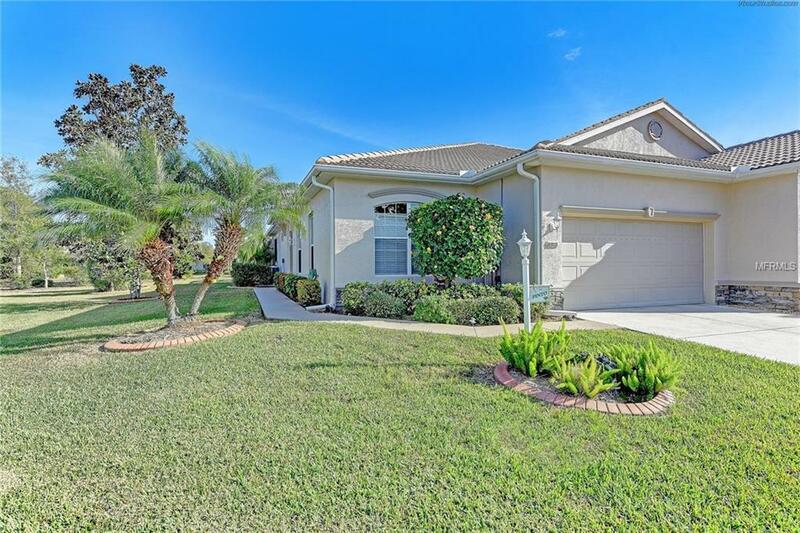 The spacious dining area has a built in buffet as well as a separate breakfast bar that seats 4.This home is in pristine condition with stylish wall colors, upgraded ceiling fans and lighting, surround sound and extra built in counters. The oversized laundry room has 2 pantries, second refrigerator, and extra upper cabinets for added storage. There is an attached 2 car garage.Master suite offers tray ceiling, sliding glass doors portraying lovely views of the lake area and sparkling pool.Master bath has large soaking tub, dual sinks, walk in shower, walk in closet and linen closet You will truly enjoy all that this home has to offer in this wonderful and active community. Pet Restrictions Must Be Leashed And Cleaned Up After. Currently There Are No Rules For Pet Size Or Quantity.